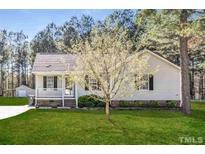 Below you can view all the homes for sale in the South Plantation subdivision located in Clayton North Carolina. 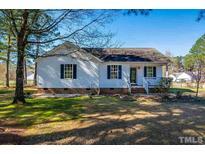 Listings in South Plantation are updated daily from data we receive from the Raleigh multiple listing service. To learn more about any of these homes or to receive custom notifications when a new property is listed for sale in South Plantation, give us a call at 919-634-6533. Upgraded features include fresh interior paint throughout and new carpet in select rooms. 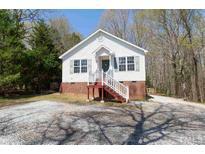 MLS#2247392. 4823. This Clayton one-story home offers a front porch, stainless steel appliances, master bathroom with sitting vanity, and covered backyard deck. 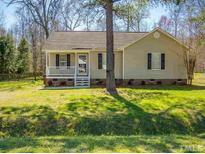 MLS#2246496. 4823. Sold As Is-Motivated sellers-recent appraisal done-bring all offers MLS#2246447. 3770. Upgraded features include fresh interior paint and new carpet in select rooms. MLS#2240301. 4823. Upgraded features include fresh interior paint MLS#2230255. 4823.